← Father… I Need Your Word!!! Human beings are not fond of being criticized. 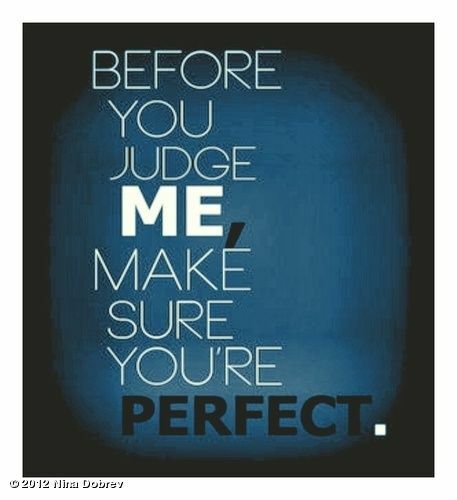 This is even true when the criticism is constructive; for the benefit of the person being criticized. Making this condition worse is a world where the vast majority of people are hypersensitive about their abilities, standing among others and personal human rights. All of these factors together have built a wordily and cultural mind mindset, that takes even necessary criticism and defines it as mean spirited judgment. Therefore to suggest a person is inadequate, weak or failing will often times place the sincere giver of truth, in the dog house. Herein is one of the greatest challenges to preaching the Good News of Jesus Christ (The Gospel): People do not want to hear that they are not good enough, nor ever will be good enough, to merit God giving them access to the blessing and pleasure of heaven. Simply put the Gospel is a message that begins with “Congratulations! You are an absolute failure!” Even within the body of Christ, this beginning of the Gospel message sounds a little harsh, even though it should not be so. Let’s face the sad truth that much of our Gospel preaching wants to avoid the abject failure of man, in our presenting the Good News of Jesus Christ. One may ask why is this the case? The answer is simple: We can feel disdain of those we minster too concerning their being labeled as insufficient failures. Therefore we dance around the issue no one wants to talk about, the very issue which makes us insufficient, unable failures: The issue of sin. The preaching of the gospel always begins with God and that beginning is a declaration of God’s holiness in contrast to the depravity of man. We find this contrast wherever God revealed Himself to men in both Testaments. Let us further consider Isaiah. In the prophet we see perhaps one of the finest leaders Israel ever produced, outside of Jesus Himself. Isaiah was a religious leader of the highest quality, a national leader and statesman. He loved his nation and ardently followed the law of God and called others to do so. Despite these facts, until Isaiah had truly met with God, he would never be sufficient for the prophetic task he was chosen for. In Isaiah 6:1-13, we encounter the time God appeared to Isaiah in His manifest and holy perfection. Verse 5 records Isaiah’s reaction to God’s revelation of Himself to the prophet. The word “undone” means to be unwound like a baseball. In our day baseballs are made with a small hard rubber ball at the center, then wrapped by string until the proper size is attained. Once this is finished the ball is covered in leather and stitched up. Early baseballs were simply a ball of strong tightly wound, covered in leather and then stitched up. With those early balls, one could uncover the ball of string and unwind it, until there was nothing left at the middle. This process is similar to what God’s presence did to Isaiah. In God’s perfect presence all of Isaiah’s achievements, goodness, works, prestige, abilities, and heritage were pulled away, string by string, until he found at the center of himself an empty void of sin. In his declaration “Woe is me…”, we can hear Isaiah declare “Congratulations Isaiah! You are a failure!!! When reading further in Isaiah 6, we see that Isaiah’s calling in God would have been impossible had God not revealed Himself and subsequently, in light of God’s manifested perfection, revealed Isaiah’s sinful condition. Not only would Isaiah’s calling be in doubt without his encounter with God, salvation would have been impossible (Isaiah 6:6-8). As made clear from the examples above, cleansing from sin is not possible without a person understanding that God is holy and man certainly is not. God’s Word makes it very clear that “…all have turned aside… all have become corrupt; there is no one who does good, no not one” (Psalm 14:3). This passage refers to mans’ state of depravity before God. Depravity does not mean men apart from God never do positive things, but that the relative “good ” done cannot in any way cancel the penalty for sin all men are under. This position of man before God is not very readily accepted, but ignored, as the lost runs to and fro looking to atone for their sin, through vain religion, or sear their consciences into no caring at all. In relation to our predilection toward proving ourselves sufficient through works and religion Isaiah reveals “But we are all like an unclean thing. and all our righteousnesses are like filthy rags” (Isaiah 64:6). Although I believe men know this truth inherently, we (in our natural state) would rather feign ignorance or walk in out right deceit concerning our failing and sinful condition. Therefore, in pride men ignore God (and his messengers), and reject His kindness and mercy of because they hate correction, revealing themselves to be fools (Proverbs 12:1). This truth falls in line with Paul’s words to us concerning the state of all men, apart from Christ. (Romans 1:21-25) because, although they knew God, they did not glorify Him as God, nor were thankful, but became futile in their thoughts, and their foolish hearts were darkened. Professing to be wise, they became fools, and changed the glory of the incorruptible God into an image made like corruptible man—and birds and four-footed animals and creeping things. Therefore God also gave them up to uncleanness, in the lusts of their hearts, to dishonor their bodies among themselves, who exchanged the truth of God for the lie, and worshiped and served the creature rather than the Creator, who is blessed forever. Amen. In lieu of this truth, we understand why men grow irritated when we are presenting the good news. 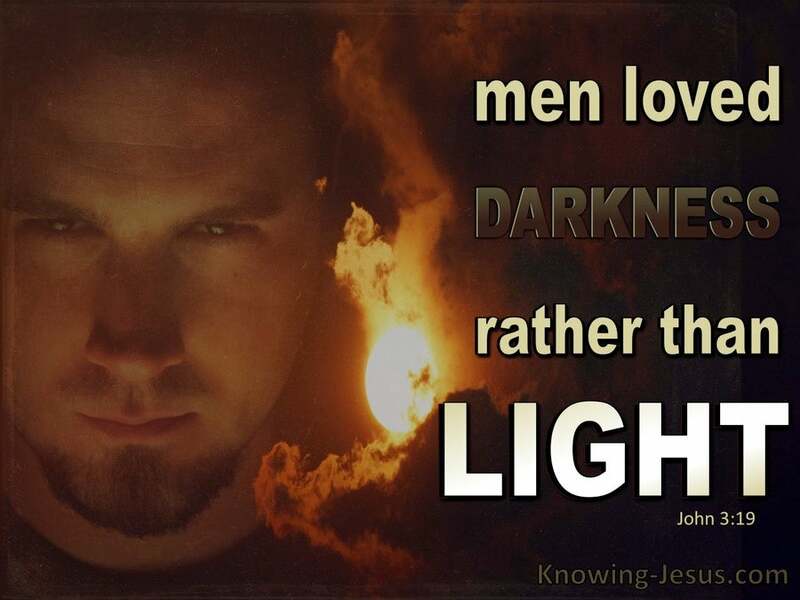 As Jesus declared in John 3, men love darkness rather than the light, and in their delusional and lost state would rather ignore the Holy Spirit convicting them of their failure before the Holy God. Yet we must not water down the Good News, or begin away from the beginning. Some at this juncture may want to point out “It is the kindness of the Lord that leads to repentance” (Romans 2:4). I definitely agree, yet His kindness is to reveal the manifestation of His love, through the bloody cross of Christ (Romans 5:8). This is the Good News, and it begins with the reason for Christ’s death; WE FAILED MISERABLY!!! Paul relays to us in Romans 3:20-23, that good works no matter how many fall well below God’s standard of righteousness. His standard is Jesus Christ, the Son of God, the Word made flesh; He alone is perfect sinless perfection. In light of that mark, even the most self-righteous ranger, has to admit he has failed. For all have sinned and fallen short of the glory of God. Why is this Good News? Because Jesus Christ Himself is also the way for failures to find grace sufficient to overcome our sin debt. The Gospel message does reveal God’s state of perfection and our lack of perfection, but also how we by faith, become acceptable in His sight. Jesus became our wisdom: We understand the preaching of the cross of Christ is foolishness to those who do not believe, but to those who do, it is the power of God unto salvation. In this understanding, by the regeneration of the Holy Spirit and attained through faith and repentance, Christ takes us from fools to wise. We choose to lay down our self-righteousness (which is sin) and our rebellion for the sake of love for the One who displayed His love for us in the cross. We move from being fools to wise. Jesus becomes our righteousness: In our newly acquired wisdom, from the Holy Spirit, we no longer are trying to be righteous enough to gain God’s favor, as we know Jesus was more than righteous enough to satisfy God’s standard. This happened as He lived sinless, being the perfect atoning sacrifice for sins. This is something no man can do, except Jesus the Son of man (Isaiah 53:1-10). We find His righteousness becomes our own as we are declared not guilty (justified) through Christ’s shed blood (Romans 5:9). Jesus becomes our sanctification: In our being justified, we are literally set apart as holy (this is sanctification), as if never having sinned. Yet this being set apart is not merely positional in heaven, but made practical by the transforming power of the Holy Spirit in our lives. It is God Himself that sanctifies (makes us practically holy) in spirit, soul and body, as we yield to the righteousness of Christ, as led by the Holy Spirit (I Thessalonians 5:23; Romans 6:11-13). Even when failing to walk in complete obedience, by faith we still have a clean account and cleansing in our lives from sin (I John 1:7, 9). Jesus becomes our redemption: Through His blood we have been redeemed, having been forgiven of our sins. Truly it is good news to know that not by any merit of our own, but in Christ’s perfect work, we are God’s possession. This is an ever growing deposit of the fullness of that redemption, fully realized in the glory of God, when we are with Him forever (Ephesians 1:13-14). All of this is truly Good News. Since the Good News is so good, why do we waste time trying to build bridges to the lost through meeting felt needs and being seeker sensitive? It seems to me, the good news is sufficient without any add-on’s or creative accessories on our part. The problem is that we are uncomfortable with the beginning of the Good News… Congratulations! We’re all failures! In this next year, remember, we may be living in one of the last years. We don’t have time to waste. The lost don’t have time to waste. The kindest thing we can do, is to present God as He is, Holy and loving. So loving He sent his only begotten to the cross. Why? Because He loves us and we failed. This is the news that will make any man who receives it have a great eternity. This entry was posted in Romans 3:23, The Good News, The Gospel of Jesus Christ, Uncategorized. Bookmark the permalink.